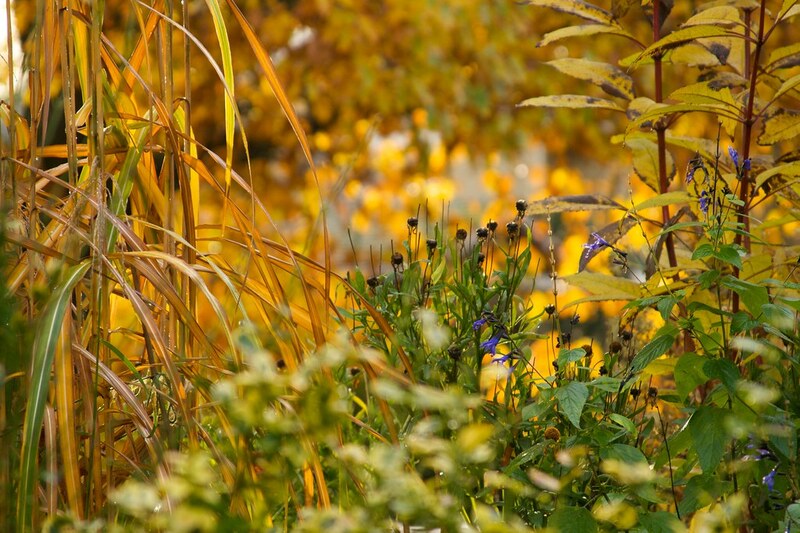 There's a lovely golden glow to your garden - fantastic! Your blog's photography is a treat! I've seen a lot of photos of 'Black & Blue' salvias and now I think it should always have fall foliage around to set it off. Beautiful vignette. It is warm here - though we have had some nights with temps near freezing. This is what I love about fall. 2 Plants on My Wish-List!